Marielyst is probably the most popular holiday town when we talk about cottages on Lolland and Falster. The child-friendly sandy beach and the wide range of levels within cottages in Marielyst are some of the reasons. Ad to this beautiful nature in Falster which you may see from a horseback, on a bicycle or when hiking. On the two islands are several very beautiful boroughs worth a visit. And Knuthenborg Safaripark is within driving distance. See the holiday homes in Marielyst on a map - click on the map! Lovely luxury holiday house for 10 persons,90 m2 with sauna,jacuzzi,sat-tv,internet and all white goods, 2 TV,DVD etc. Only 100 m from the best bathing beach and 200 from shopping possibilities.High chair and cot for child.FREE IN the Spring and Summer. 10 persons 4 bedrooms Dishwasher Washing machine Whirlpool Sauna Woodburner Internet - Broadband Distance to beach: 100 m.
228 m2 summer cottage for 16 with swimming pool and spa bath. Very large living room, 3 bathrooms, 6 bedrooms and alcove in living room. Heating: electricity and oil. Rates start at DKK 4,000. Rates from DKK 4,000  15,000/week. Weekends from DKK 4,000. 16 persons 6 bedrooms Dishwasher Washing machine Pool Whirlpool Sauna Woodburner Internet - Broadband Pets OK Distance to beach: 300 m.
12 persons 3 bedrooms Dishwasher Washing machine Whirlpool Sauna Woodburner Internet - Broadband Pets OK Distance to beach: 10 m.
Large pool house with kitchen, large living room, large dining room, 4 bedrooms, sleeping platform, 2 bathrooms and pool area with pool, Whirlpool and sauna. 2 terraces one of which is roofed. The house is suitable for 2-3 families. 14 persons 4 bedrooms Dishwasher Washing machine Pool Whirlpool Sauna Woodburner Internet - Broadband Pets OK Distance to beach: 600 m.
The house is situated in a quiet location 75 m from a sandy beach. It is divided into 2 apartments and can accommodate a total of 10 persons and a small child. You can rent an apartment or entire house. The house is ideal for a holiday for 2 generations. 10 persons Woodburner Distance to beach: 75 m.
Pool house for 12 people close to Marielyst beach and town. 165 m2 house refurbished in 2012. Five double rooms and a sleeping platform for two. Two bathrooms. In addition large lounge, large pool area. 12 persons 5 bedrooms Dishwasher Washing machine Pool Whirlpool Sauna Woodburner Internet - Broadband Pets OK Distance to beach: 400 m.
Pool house for 14 people close to Marielyst beach and town. The house has 6 rooms and two small one-person sleeping platforms. The house stands on a sheltered site with a very large terrace. Large living room, large pool area and three bathrooms. 14 persons 6 bedrooms Dishwasher Washing machine Pool Whirlpool Sauna Woodburner Internet - Broadband Pets OK Distance to beach: 400 m.
Charming cottage for 4 persons. Lounge with open kitchen, bedroom, open loft. Close to lovely sandy beach. Pets by agreement. 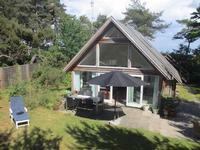 4 persons 1 bedrooms Internet - Broadband Distance to beach: 300 m.
6 persons 3 bedrooms Dishwasher Washing machine Whirlpool Sauna Woodburner Internet - Broadband Distance to beach: 400 m.
Cottage in the first row at Denmarks best beach in Marielyst on the Baltic coast of Falster. View of the Baltic from the terrace on the first floor. Area 150 m2. 6 people. 6 persons 3 bedrooms Dishwasher Washing machine Sauna Woodburner Internet - Broadband Distance to beach: 50 m.
Lovely house on dead end street. 80 m2 house and 20 m2 covered terrace on a large, light and well-kept site. Kitchen and living room and 3 bedrooms. New remodeled bathroom. Barbecue and garden furniture. Ca 250 m from the beach and 500 me to shopping. 6 persons 3 bedrooms Washing machine Pets OK Distance to beach: 250 m.
Great, original cottage for the small family or a couple, where calm, charm and relaxation are more important than luxury. Kitchen, bathroom, lounge and 2 bedrooms. Relaxing holiday with a good book or simply enjoy the sun on the beach or in the garden. 4 persons 2 bedrooms Washing machine Internet - Broadband Pets OK Distance to beach: 900 m.
5 persons 2 bedrooms Dishwasher Washing machine Distance to beach: 300 m.
Attractive cottage with spa and sauna on a large enclosed and undisturbed grounds. Short distance to golf course, golf course, shopping, restaurants etc. 6 persons 2 bedrooms Washing machine Whirlpool Sauna Woodburner Internet - Broadband Distance to beach: 700 m.